ABC Songs for Children, Alphabet Songs for Babies, ABC Train Song. Alphabets Songs for Preschool Nursery Rhymes, Abc Songs for Babies ABC Rhymes for Children Cartoons For Kids. 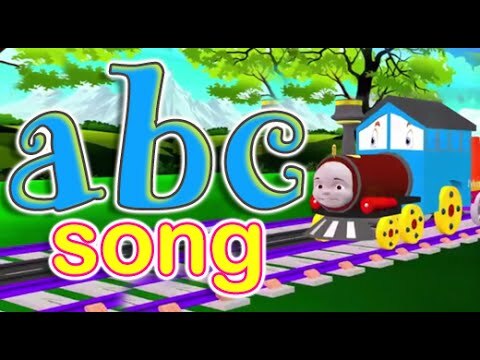 Hey kids, here is colorful animated ABC song which will teach you ABCD alphabet rolls on a animated train. So sing along with us A, B, C, D, E, F, G, H, I, J, K, L, M, N, O, P, Q, R, S, T, U, V, W, X, Y, Z. You can create magical words by using these alphabet. So lets learn it together and enjoy this beautiful video. These are all capital letters. Keep watching our videos to learn small letters too. Nursery rhymes helps children develop their language. Mango Kids is a fun, easy learning destination for your young ones and is home to the best cartoons, rhymes for children, Nursery Rhymes, Alphabet song, ABC Song, learning stories for children. Kids can learn about nature, different kinds of animals, plants and birds. Children's classic and popular rhymes like Johnny Johnny, Baa Baa Black Sheep, Mary Had a Little Lamb, etc. have been presented in the best voices and animations for little children. Watch Mango kids for more funny rhymes, stories, alphabet songs and many more. subscribe us to learn more beautiful and funny animated rhymes.